Sony announces the Bravia OLED A9F TV in the Philippines. Comes with Android TV 8.0 Oreo, Triluminos display, 4KHDR. Sony always had a good reputation for their OLED TVs. The company works with professionals to bring the best quality picture it can for consumers. Today, the company announces a new addition to their Master series of TVs to the Philippines — the flagship Sony Bravia OLED A9F, bringing with it new features, along with an Android TV Oreo OS. The Master series is a brand that Sony uses for their best products. One of the new features it will introduce is the “Netflix Calibrated Mode.” The company, together with Netflix, developed the unique feature to preserve an artists’ creative vision and intent by mirroring the same picture quality as it was intended to be shown. It is also ready for CalMAN, a calibration software used by professionals to ensure quality is maintained. Aside from that, the new TV comes with a Pixel Contrast Booster panel controller. It maximizes the dynamic range and enhances images with extra detail and texture. The A9F also comes with a new Acoustic Surface Audio+ technology. The speaker system reproduces 3.2 channel sound with three actuaters and two subwoofers. Lastly, the TV features Android’s Hands-free Voice Search function, thanks to its Android 8.0 Oreo operating system. The unit has built-in microphones that lets users issue commands for search, or simply to tell it to play something. 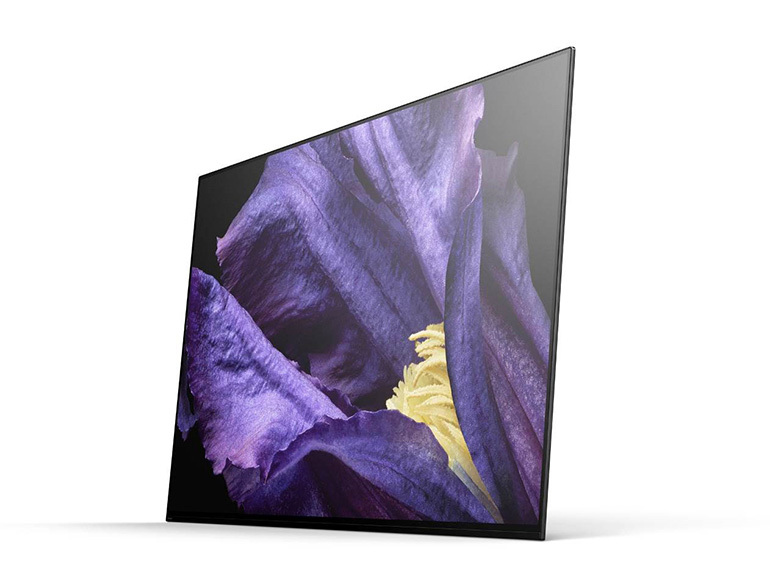 The new Sony Bravia OLED A9F 4K HDR OLED TV features a Triluminos OLED display, an X1 Ultimate picture processor, and 4K HDR capabilities. It will be available in the country starting September 2018.